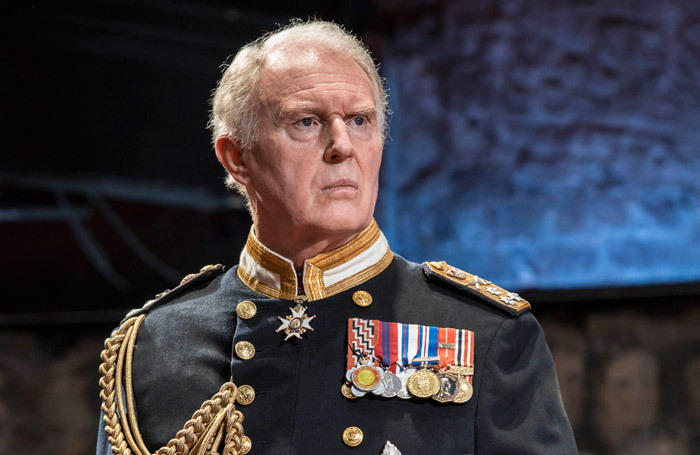 Tim Pigott-Smith’s sudden death at the age of 70 has robbed British theatre of one of its most intelligent and intuitive actors. And one who was enjoying something of an Indian summer with Olivier and Tony award nominations for his compelling title performance in Mike Bartlett’s “future history play” King Charles III . First seen at the Almeida Theatre and subsequently the Wyndham’s Theatre in 2014, it transferred to Broadway and a television adaptation will be screened later this year. At the time of Pigott-Smith’s death, he had been in the closing week of rehearsals as Willy Loman in Arthur Miller’s Death of a Salesman at Northampton’s Royal and Derngate Theatre prior to touring. In recent years he had appeared in defining roles – including King Lear  at West Yorkshire Playhouse (2011) and Prospero (The Tempest,  2012) and George (Edward Albee’s Who’s Afraid of Virginia Woolf, 2014) at the Theatre Royal, Bath – that suggested he had entered his prime. 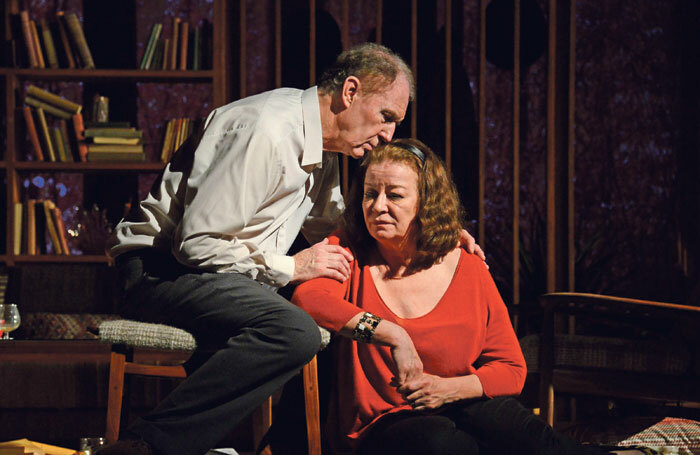 His Tobias in Albee’s A Delicate Balance  (Almeida Theatre, 2011) and Olivier-nominated Ken Lay in Lucy Prebble’s Enron  (Minerva, Chichester, 2009 and Noel Coward Theatre, 2010) had served to cement his status as a theatre actor of consummate and nuanced skill. Born in Rugby, Warwickshire, his interest in theatre was sparked when his family moved to Stratford-upon-Avon, where his father became editor of the local paper. Aged 16, he was sent to Shakespeare’s old school, King Edward VI grammar, after which, he told The Stage’s Nick Smurthwaite in 2014, “there was really no way back”. A holiday job in the Royal Shakespeare Company’s paintshop led to walk-on parts, after which he trained at the Bristol Old Vic Theatre School and was one of six students invited to join the professional company on graduating. He joined the Prospect Theatre Company in 1971 (to play Laertes to Ian McKellen’s Hamlet) and the RSC in 1972. The Stratford company gave Pigott-Smith his first lead role when he provided understudy cover for Nicol Williamson’s Coriolanus in 1973, and his first experience of Broadway when his Doctor Watson (to John Wood’s Sherlock Holmes) went to New York the following year. The next decade was spent in regional reps and, having made his small-screen debut in 1971, developing a profile on television in shows as diverse as Doctor Who, Winston Churchill: The Wilderness Years and as Angelo (Measure for Measure) and Hotspur (Henry IV, Part I) for the BBC’s Shakespeare series. 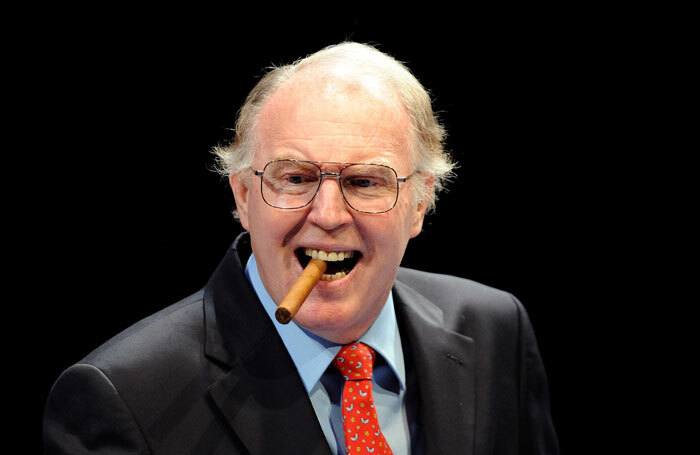 In 1984, Pigott-Smith had a breakthrough year, both on stage – as the scheming, cynical Colin in Michael Frayn’s Benefactors (Vaudeville Theatre) – and television, where he received a BAFTA for his performance as the sinister, sadistic Ronald Merrick in Paul Scott’s 13-part portrait of the British Raj, The Jewel in the Crown. India was also the influence for Bengal Lancer, a one-man play by William Ayot that Pigott-Smith performed in 1985 at the Leicester Haymarket. With the National Theatre, he began a long working relationship with Peter Hall, standing out as a cold and canny interrogation officer in Stephen Poliakoff’s Coming in to Land (1986), a chilling Caesar to Anthony Hopkins and Judi Dench’s Antony and Cleopatra (1987) and a passionate Leontes (The Winter’s Tale, 1988). Following Anthony Quayle’s death in 1989, Pigott-Smith took control of the Compass Theatre Company, directing Denis Quilley and Jack Klaff in Peter Shaffer’s The Royal Hunt of the Sun (1989) and appearing as Brutus (Julius Caesar, 1990) and Salieri (Peter Shaffer’s Amadeus, 1991) before lack of Arts Council support forced the company’s closure. For Neil Bartlett at the Lyric, Hammersmith, he was seen in The Picture of Dorian Gray (1994) and with obvious relish as the eponymous Scrooge (2002). At the National again in 1996, he held the stage as the treacherous Leicester to Anna Massey’s Queen in Schiller’s Mary Stuart, contrasting it with the sackcloth-and-ashes comedy of Subtle in Ben Johnson’s The Alchemist in a co-production with Birmingham Rep. He was equally memorable in two Eugene O’Neill plays, offering noble counsel as Larry Slade to Kevin Spacey’s firebrand salesman Hickey in The Iceman Cometh (Almeida Theatre, 1998) and as Ezra Mannon opposite Helen Mirren and Eve Best in Mourning Becomes Electra (National Theatre, 2003). In Frank McGuinness’ adaptation of Euripides’ Hecuba at the Donmar Warehouse in 2004, he proved to be a formidable Agamemnon and was a lusty Duke of Florence in Thomas Middleton’s Women Beware Women  for the RSC in 2006. Renewing his association with Peter Hall, he was seen in Simon Gray’s Little Nell  (Theatre Royal, Bath, 2007) and as an “utterly irredeemable” Higgins in George Bernard Shaw’s Pygmalion  (Old Vic Theatre, 2008). As a director, he staged Samuel Beckett’s Company at the Donmar Warehouse (1988) and Hamlet, with Damian Lewis as the titular prince, at the Open Air Theatre, Regent’s Park (1994). Pigott-Smith’s other notable television credits included the crime dramas The Chief (1990-93) and The Vice (2001-03), Paul Greengrass’ docudrama Bloody Sunday (2002) and Sniggs in the BBC’s current adaptation of Evelyn Waugh’s Decline and Fall. Memorable film appearances included Clash of the Titans (1981), The Remains of the Day (1993), V for Vendetta (2005) and Quantum of Solace (2008), with Stephen Frears’ Victoria and Abdul yet to be released. He was awarded an OBE in this year’s New Year’s honours list. Timothy Peter Pigott-Smith was born on May 13, 1946 and died on April 7, aged 70. He is survived by his wife, the actor Pamela Miles, and their son.